If a person has synesthesia, then they can experience emotional stimuli with more than one sense. It means that they can, for example, taste colors or smell sounds. It could be in the form of looking at a brown door and getting the taste or aroma of coffee, for instance. People who have synesthesia are known as synesthetes and, although there are very few of them in the world, it could very soon be possible for all of us to experience this. Zachary Howard is an aerospace engineer who has created a mask that copies the same effects as synesthesia. 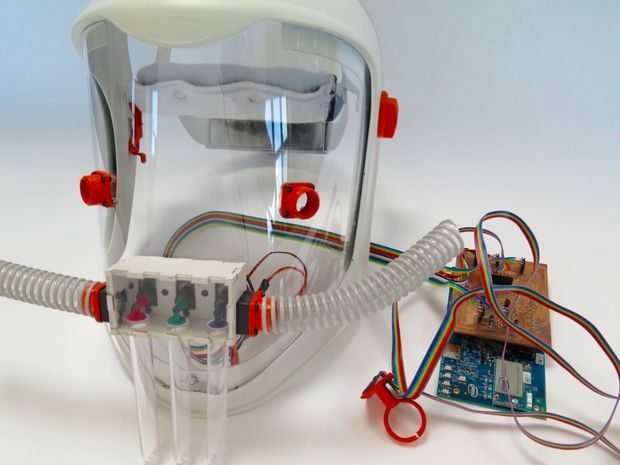 It was while doing a fellowship at Autodesk that Zachary came up with the idea of the mask which links an Intel Edison chip on an armband to a sensor worn on a finger. This device breaks an object’s colors down into three primary colors that then correspond to three scent reservoirs. Then the information is sent through a system of servo motors and fans which control how much of the scent to release. Each scent then flows into a mask that the user is wearing and they will experience an ever-changing sense of smell representing what they are looking at around them. Zachary chose various colors for his mask, which were pine for green, lavender for blue and grapefruit for red, but, in theory, the choice of combinations is limitless. 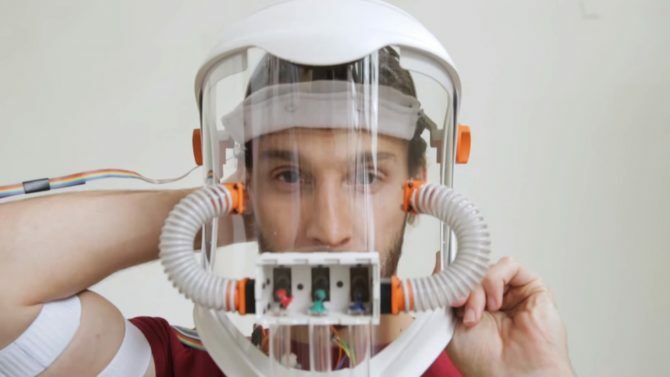 You can buy most of the materials required to make the mask at any hardware store, and it just takes some programming experience and basic circuit building to make it. As of now, there is still no scientific or medical explanation for synesthesia, but some think that it is due to some communication between parts of the brain that have control over the senses. When different parts of the brain communicate with each other, it is possible that ‘wires’ may become crossed and a person could experience multiple senses. One thing that is known is that synesthesia is different for everyone. While some people hear colors, others smell sounds or taste words. The most common form seems to be when a person associates colors with letters or words and therefore can read in different colors! Masses think that several artists had synesthesia, including Vincent Van Gogh. If it is possible to open up this world to everyone, then it would open up a whole new sphere for artists, allowing them to be creative in many different ways. Indeed with some technological help, the possibilities are endless if we can all experience this phenomenon and see, hear, smell and touch the world with a whole new perspective.